Staying on the Ile de Ré, you will inevitably fail on the beaches. This small paradise 30 km long and 5 km wide is surrounded by sandy beaches sometimes calm, sometimes wild. Whether family or more intimate, they will seduce you for sure. From Rivedoux Plage to Saint Clement des Baleines, there are no less beaches waiting for you. 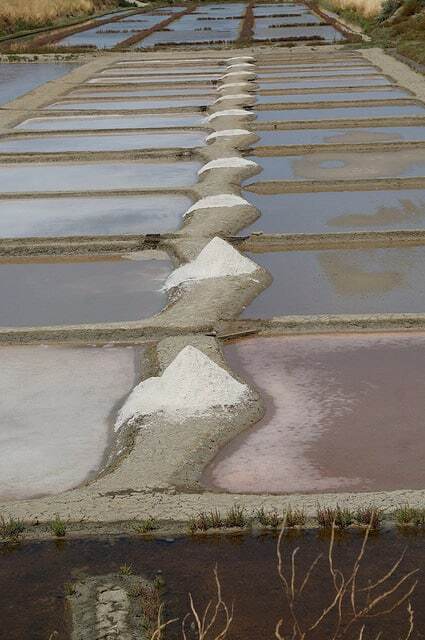 Even though Bois Plage and Ré and Saint Clément Baleines have the reputation of having the most beautiful beaches of the island, Rhêmes villages are home to incredible sandy beaches. Rivedoux Plage, at the entrance of the Ile de Ré is bordered by two beaches, one on the North Coast and the other on the South coast. However, it is the South beach, extending from the bridge to the tip of Chauveau Pertuis d’Antioche which is most conducive to swimming. The village of Sainte has 4 beaches where holidaymakers can discover and rediscover the nautical pleasures. In general, the beaches of this village are sheltered by a wild environment. If you are looking for quiet beaches to relax after visiting Sainte Marie de Ré, La Salée beach and Basse Renaie beach are sure to please you. The latter is located south of Sainte Marie and is open on the north of Ile d’Oleron. If the wild beaches seduce you more, discover the Montamer beach, authentic and wild behind the park of Montamer. The beach of grenettes, indomptée is a paradise for sliding sports. 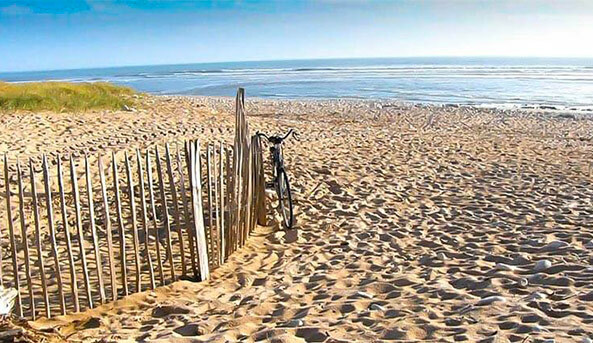 The village of Bois Plage en Ré has some of the most beautiful beaches of the Ile de Ré. Idleness, seaside activities and water sports are widely practiced. The beach of Gros Jonc located in the south of the village is very busy because the sea is calm there. It is bordered by a pretty dune cord. The beach Gollandières, offers a view of the island of Oléron. It is very large and seduces more couples and families looking for a quiet and secluded corner. The third beach of this village rhété is the beach of Petit Sergent, located to the west of the village. It is surrounded by a very pleasant natural environment. The village of La Flotte en Ré is one of the most beautiful villages in France. Located east of Saint-Martin-de-Ré, it has only one beach: the beach of Arnerault. 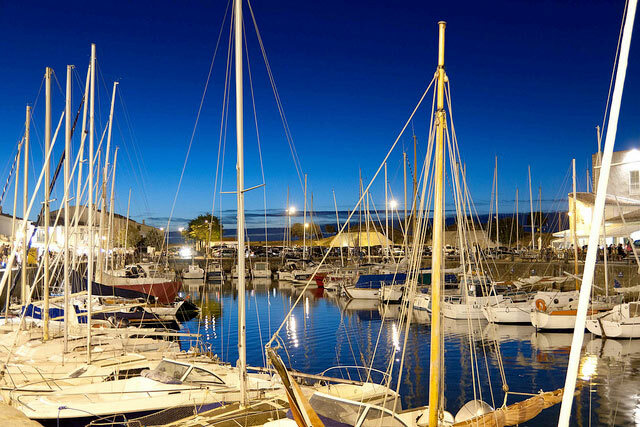 It is located not far from the heart of La Flotte and is bordered by a pedestrian waterfront. The Arnerault is certainly one of the most beautiful beaches on the north coast of the Ile de Ré. It is at the same time a place of rest, of walks and games. The bay of the sheltered cove is ideal for safe swimming. It is equipped with a rescue center. La Couarde sur Mer is located on the south coast of the Ile de Ré, facing the village of Saint Martin de Ré. It is home to 5 km of coastline, formed by long sandy beaches. Sheltered by dunes, pines and tamarinds, these expanses of sand are simply divine. It is one of the main seaside destinations on the archipelago. 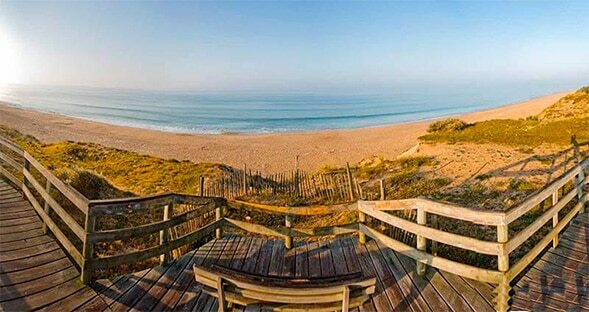 The beach of Pergola, renowned surf spot of the Ile de Ré, is the meeting place for lovers and surf enthusiasts. But it is also an ideal place for swimming with family. Relaxation, fun and water sports are on the program. The beach of Peu Bernard is between sea and forest and lends itself readily to swimming. To reach the beaches, follow the coastal paths on the dunes while admiring remarkable points of view. The beach of Les Prises is the paradise of sliding sports. Sailing, stand-up paddle or kite surf schools are nearby for beginners and water sports enthusiasts. Saint Martin de Ré is the largest of the municipalities of Ile de Ré. Located in the heart of the island, on the north shore, it offers its inhabitants and visitors a single beach: the beach of La Cible. This stretch of sand is to the east of the village, close to the Citadel. It is appreciated by summer visitors. Located in the heart of the Ile de Ré, on the north shore, Loix en Ré forms like a peninsula. To relax, have fun and indulge in various water sports, its two beaches are a must. Grouin beach, ideally located at the end of the peninsula, between marsh and ocean is in the hollow of the point of Grouin. Intimate and calm and pretty, it is overlooked by the little Fort. The beach of Gaudins is a charming beach located north of the village of Loix. It is a peaceful place from where you can admire the Trousse-Chemise forest and the Vendée coast. Ars en Ré is easily recognizable by its white and black steeple. 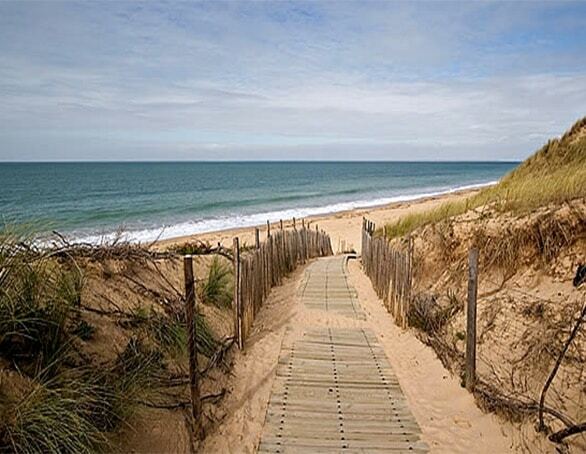 Ranked the most beautiful villages in France, the village has only one beach, located to the south. The beach of La Grange is not the most beautiful rhône beaches but is nevertheless distinguished by the proximity of the “Pas de la Grande”, a preserved natural area. A surf spot is accessible at the tip of Grignon. 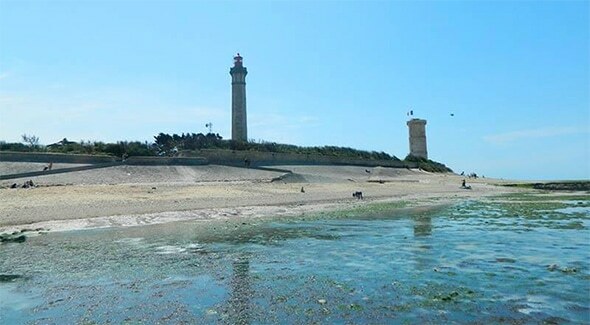 Saint Clément des Baleines, made famous for its unmissable Lighthouse Whales, at the western tip of the island of Ré unveils some fine sandy beaches of great beauty to lovers of beaches and boating. Couny Beach, at the north end of the island is huge. Its exceptional panorama and the beauty of its setting make it a popular place for bathers, families and walkers. More authentic and wilder, the beach of the Conche des Baleines also attracts summer visitors and lovers of idleness. 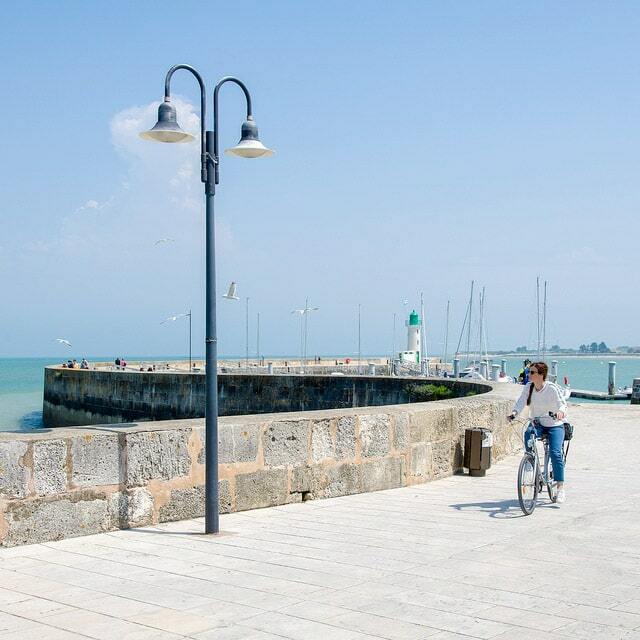 The village of Portes en Ré, nicknamed “the end of the island” is characterized by its look and chic atmosphere. It has a dozen beach inviting to swimming, idleness and water sports. The most famous are the beach of Gros Jonc, a paradise for boating, the beach of the Lodge, a center for board sports and the superb beach of Trousse Chemise. Not far from there, discover the famous bench of Bucheron, bordered by the pine forest immortalized by Charles Aznavour. You can also enjoy the wide beach of Lizay and its view of the lighthouses Whale or the nudist beach of the tip. Other beaches such as La Patache, Anse du Fourneau, Saucière … are also available to holidaymakers. They vary in their moods, locations and aspects.